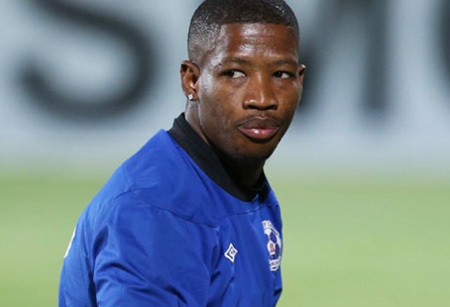 Maritzburg United goalkeeper Virgil Vries believes that with the right attitude, the Team of Choice can beat Free State Stars on Saturday night. United are without a win in seven matches, but are fired up to put things right this weekend. “We need to remain humble and work hard, we must remember what brought us the results earlier in the season. We can certainly still turn things around, and a top eight finish remains in our grasp,” Vries told maritzburgunited.co.za. “The players have been trying hard in training to rectify things. When defending, we must defend as a team, and when we have chances, we must take them, that remains probably our biggest problem. “The coach is facing his former team, but I don’t think that will change the approach at all. He has been calm and relaxed at training, but making sure we are working hard,” said Vries. The Namibian was a keen armchair spectator when Free State Stars played Bidvest Wits in the Newdbank Cup on Saturday night, and offered the following analysis. “We watched them against Wits in the Nedbank Cup on the weekend. The team looked a bit lopsided, with the wingers always coming inside, the right wing playing on the left and always coming inside, and the full-backs having the freedom to attack out wide. “We have noted all of this and will be no doubt looking at ways to counter it,” he said.